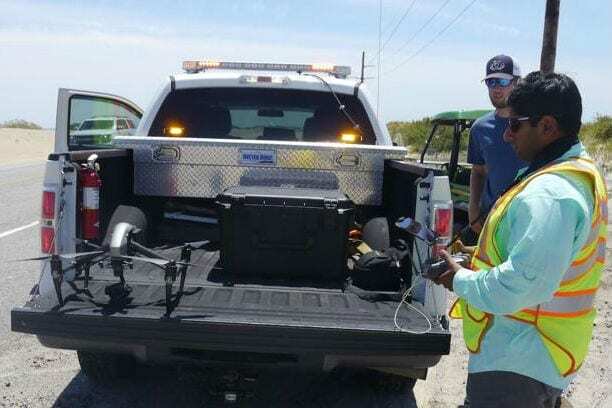 The N.C. Department of Transportation’s Division of Aviation is hosting a free drone workshop for commercial and government operators in Nags Head on Thursday, April 19, at the Comfort Inn South Oceanfront, milepost 16.5 on the Beach Road. Over the last year, more than 650 attendees at five of these workshops learned about Unmanned Aircraft Systems flight operations, data management and dozens of various applications for government and commercial users. Presenters also provided updates on the latest changes in federal and state drone regulations and gave live flight demonstrations. State and local government drone operators, as well as local commercial operators, are invited to attend, network, and learn more about how emerging UAS technology can benefit their operations. Seating is limited and registration will close at 7 p.m. on Tuesday, April 17. Too bad the law is preventing us from flying.